In April 2011, several homeowners brought a class action lawsuit against Wells Fargo Bank and QBE Specialty Insurance Co. involving “force-placed insurance.” According to the complaint, all homeowners who have mortgages with defendant Wells Fargo are required to maintain insurance on their property. If a homeowner fails to maintain his/her required insurance, Wells Fargo is entitled to forcibly place insurance on the property (i.e. 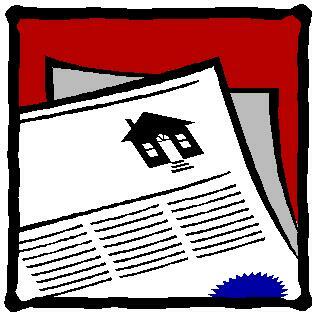 purchase insurance for the home and then charge the borrower the full cost of the premium). The complaint alleges that defendants Wells Fargo Bank and QBE colluded in a scheme to artificially inflate the premiums charged to homeowners for force-placed insurance on property, after the homeowners self-placed insurance policies had lapsed. Specifically, plaintiffs assert that the premiums charged on the force-placed loans are not the actual amount that Wells Fargo pays, because a substantial portion of the premiums are refunded by defendant QBE to Wells Fargo through various kickbacks and/or unwarranted commissions. On October 3, 2011, U.S. District Judge Cecilia M. Altonga denied defendant QBE’s motion to dismiss plaintiffs’ complaint. All borrowers that had mortgages with and/or serviced by Wells Fargo Bank, on property located within the State of Florida, that were charged, and who either paid or who still owe, premiums for a force-placed insurance policy within the applicable statute of limitations through April 7, 2011 (“the Class Period”), unless (1) the lender has obtained a foreclosure judgment against the borrower; (2) the borrower has entered into a short-sale agreement with the lender; (3) the borrower has granted a deed in lieu of foreclosure to the lender; (4) the borrower has entered into a loan modification agreement with the lender; (5) the borrower has filed a claim for damages which has been paid in full or part by the force-placed insurer; or, (6) the cost of force-placed insurance was canceled out in full. This case is distinguishable from the factual scenario that the Supreme Court addressed in Dukes where even if the plaintiffs were able to prove that Wal-Mart’s policy had a disparate impact on female employees, each individual plaintiff-employee would still need to establish that she suffered an adverse employment action as a result of that discriminatory policy. See Dukes, 131 S. Ct. at 2552. Here, the ultimate question of liability is whether the force-placed insurance premiums charged to homeowners were unlawfully inflated and excessive. If they were, that same answer will apply to every plaintiff in the class. There will not be a secondary factual inquiry required, as was the case in Dukes. Any distinctions between class-members with respect to theories of liability, as argued by Wells Fargo and QBE, could be adequately addressed through the use of discrete subclasses, if necessary at all. Accordingly, the Plaintiffs have established that there are questions of law or fact common to the class.